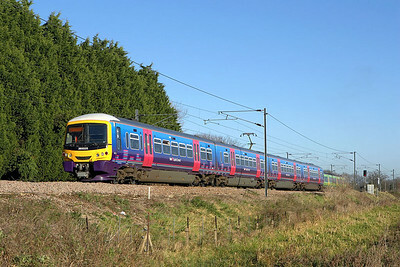 Owned by First Group plc, First Capital Connect (FCC) operates trains on the Thameslink route between Bedford and Brighton via central London and the Sutton and Wimbledon Loop. It also operates a joint service with Southeastern to Sevenoaks, Orpington and Ashford International via London Blackfriars. FCC also runs services on the Great Northern route between London King's Cross and Moorgate to Hertford North, Peterborough, Cambridge and Kings Lynn. Its franchise runs from April 2006 to March 2015.